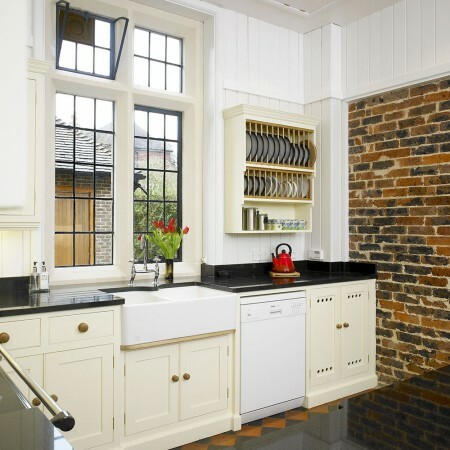 Rooms with lots of doors and windows require interesting design solutions when planning a kitchen, especially when wall space is already limited. 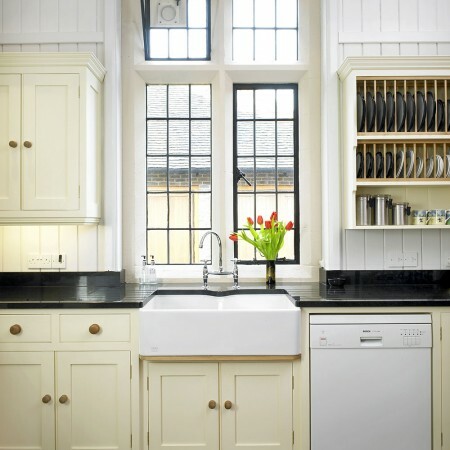 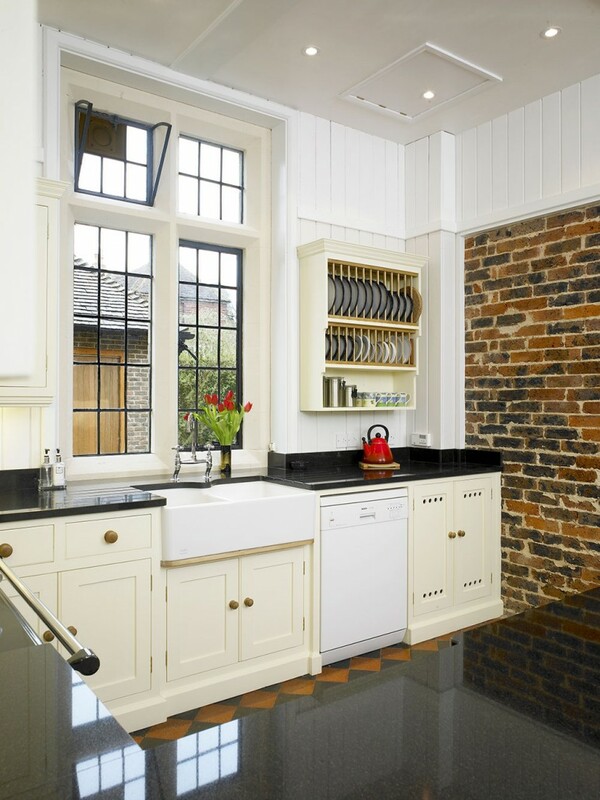 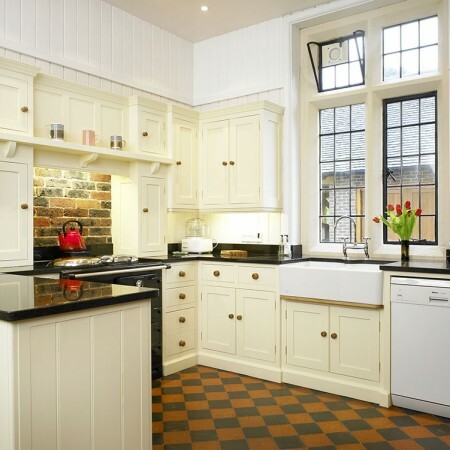 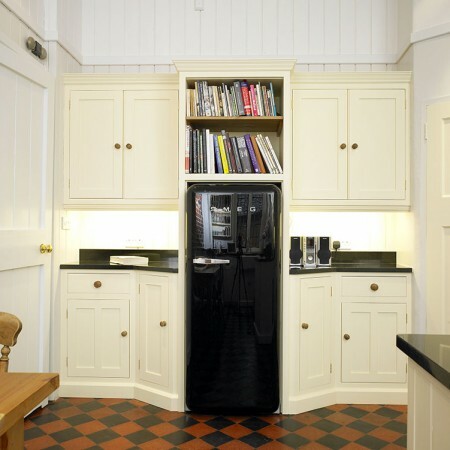 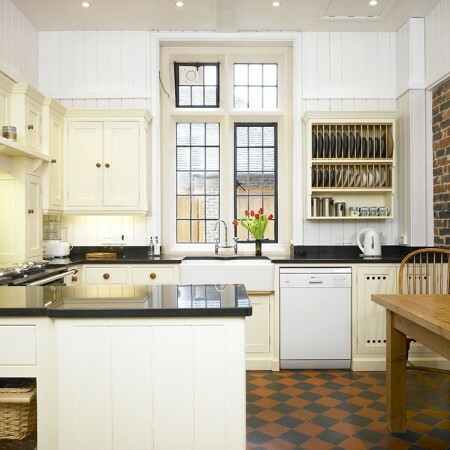 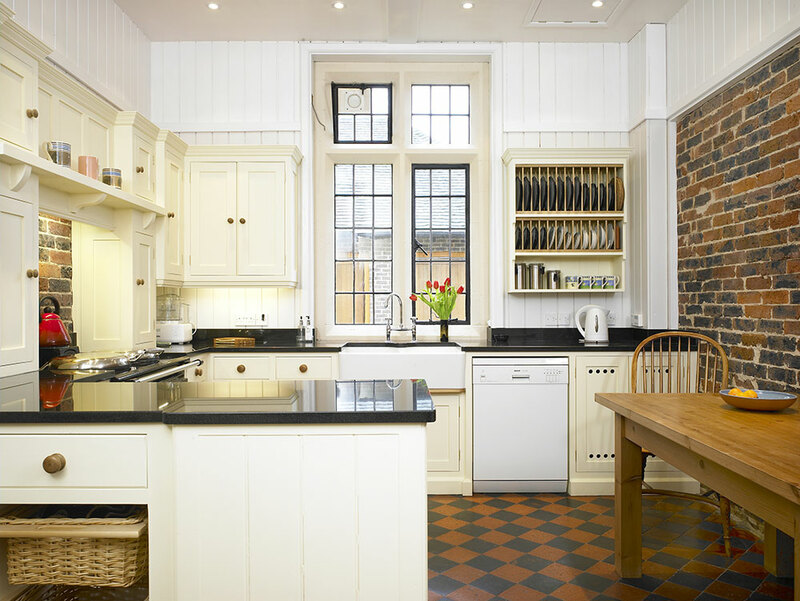 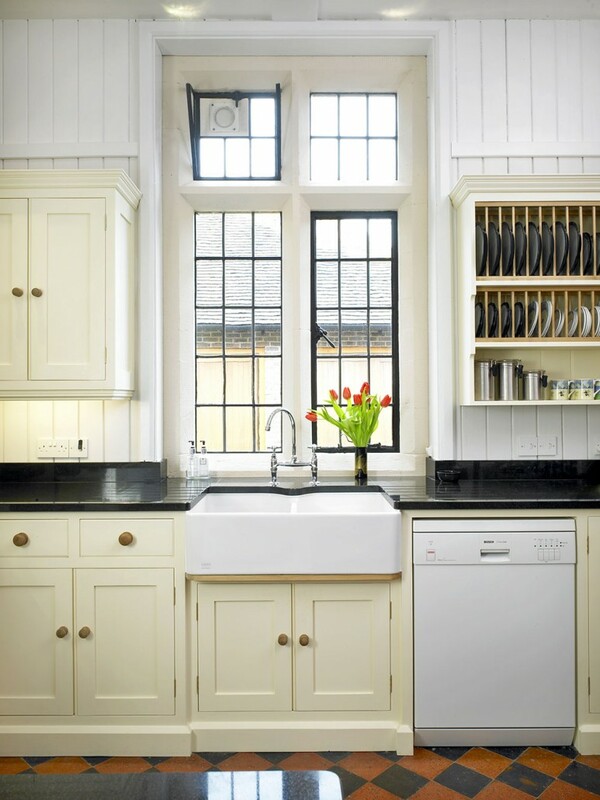 This early Craftsman installation in a grand converted stable block required a unique fridge housing specially shaped to keep walk ways clear. 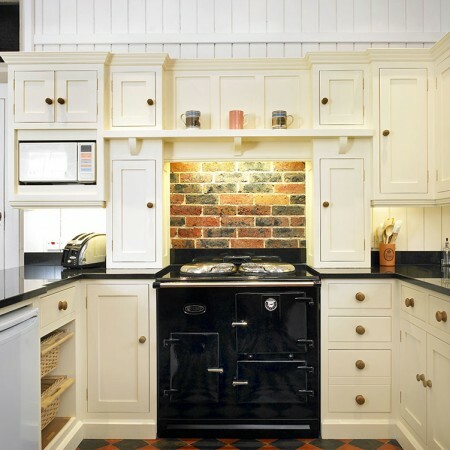 A tall room of textures with exposed brick and painted panelling we added Nero Impala granite worktops with beautiful grey and black grain to catch the eye and provide a practical and durable surface. 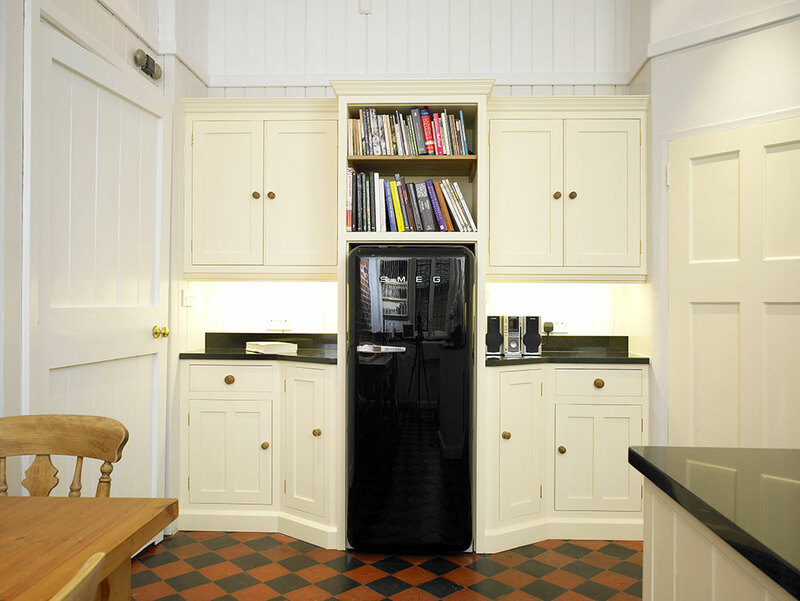 We made a matching platerack and housed an ancient boiler which could not be moved for practical reasons. 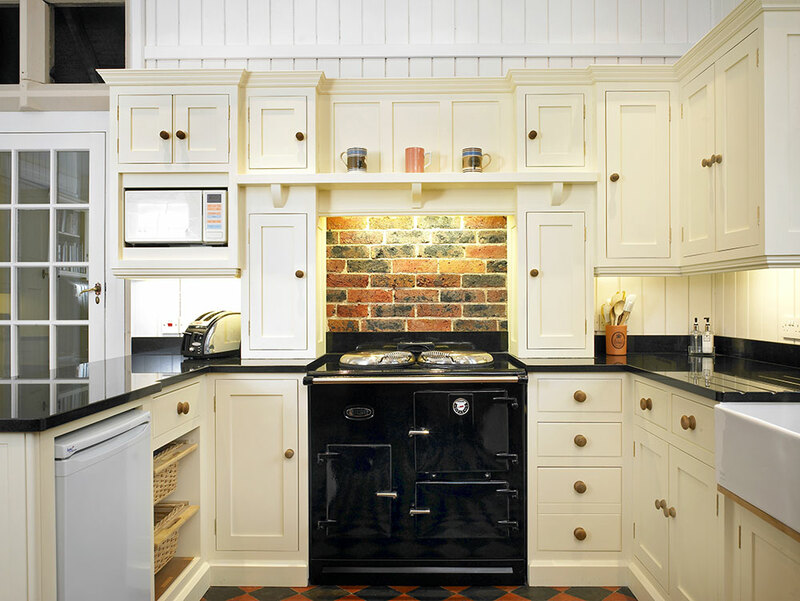 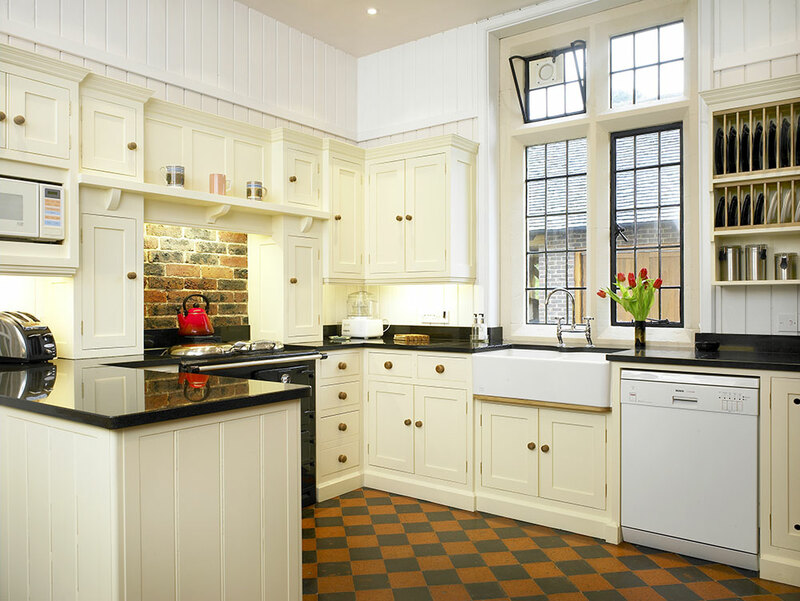 The cream cabinets provide a bright and striking kitchen environment with traditional wooden knobs and a classic double farmhouse sink.